Beside the rather unique feature of beachside villas fronting very private stretches of open sea and beach, Los Monteros also stands out for being perhaps the finest address on the east side of Marbella, where most others are located near the centre of town and to the west or north of it. Set conveniently close to the main coastal road and therefore easily linked to shopping, dining, golf and all the other amenities of the Costa del Sol, Los Monteros is nonetheless made up of luxurious villas on spacious grounds lining quiet, leafy streets either on the shorefront or within walking distance of it. 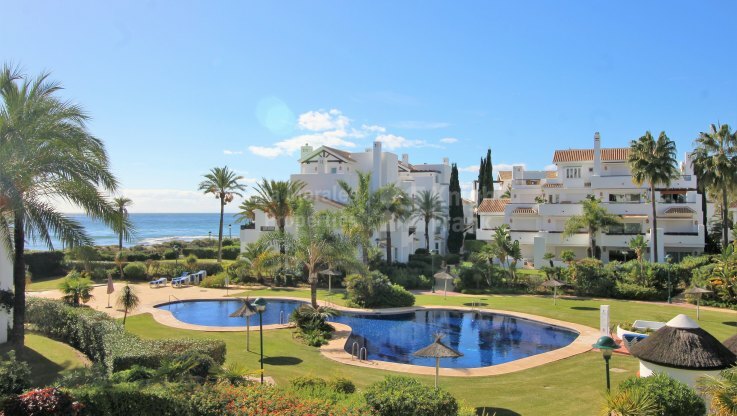 The area is also home to a small number of exclusive, low-rise apartment complexes surrounded by lush green gardens and the famous five/star deluxe Hotel Los Monteros and its exclusive La Cabâne beach club. The mansions that occupy the first line facing beach and sea form a veritable millionaire’s row comparable with that of the Golden Mile, yet Los Monteros is prized for its peaceful sophistication within a stroll from the finest dunes and beaches in the Marbella area, as well as the neighbouring Rio Real golf course and the seaside promenade. Nearby are charming fish restaurants, beach bars known as ‘chiringuitos’ in these parts, as well as shopping malls, international colleges, a rugby club and the main Marbella hospital, with the amenities of a new Four Seasons resort to be added in the coming years. In spite of this being a prized oasis of beachside tranquillity, Marbella town’s law firms, medical centres, shopping areas, lovely shaded squares and eateries are just ten minutes away by car. It is this convenience, combined with the peace, tranquillity and quality of its properties and prime sea-fronting location that makes Los Monteros so sought after among those in the market for Marbella’s finest properties. 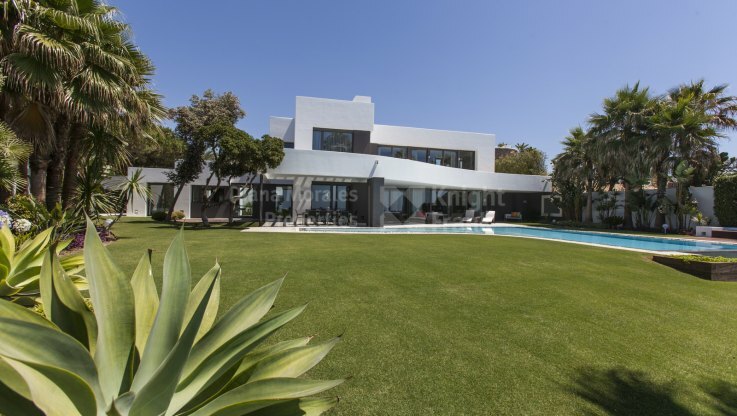 Regarded as one of the top spots in Marbella to own a property, Los Monteros is ideal for families and people who want an important property with space right by the sea yet also close to all amenities. It is this mix of ingredients that makes it a truly privileged location.